This has been a thin summer for me news-wise as I’ve been loading the metaphorical gun with more stuff to fire at you down the road. Another novel is in the can and with beta readers, and I’ll soon begin work on a long short story that’s been commissioned by a specialty publisher. Mark your calendars for Oct. 1, when I’ll be a guest at Con of the Mountain in Clifton Forge, VA.
Here’s the newest stuff in print. Do yourself a favor, and check it out, eh? On the personal front, family life keeps me busy. Here are some pictures. Enjoy! 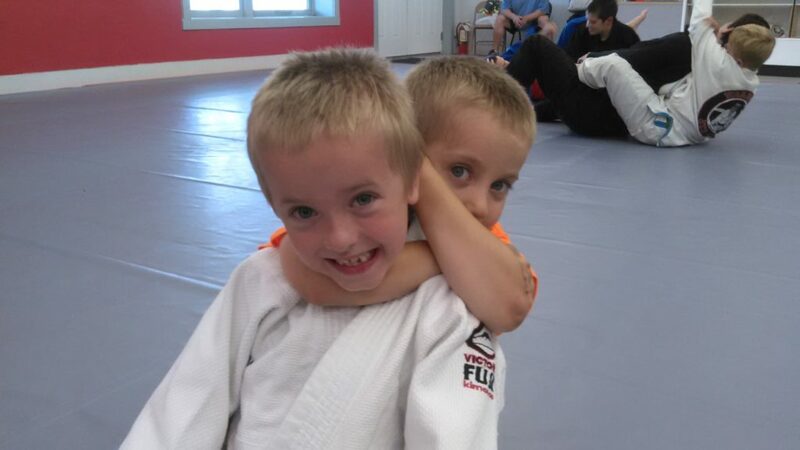 This week, my youngest son Thomas (5) had his first lesson in Brazilian jiu-jitsu. Here he is applying a rear-naked choke to his brother Owen. 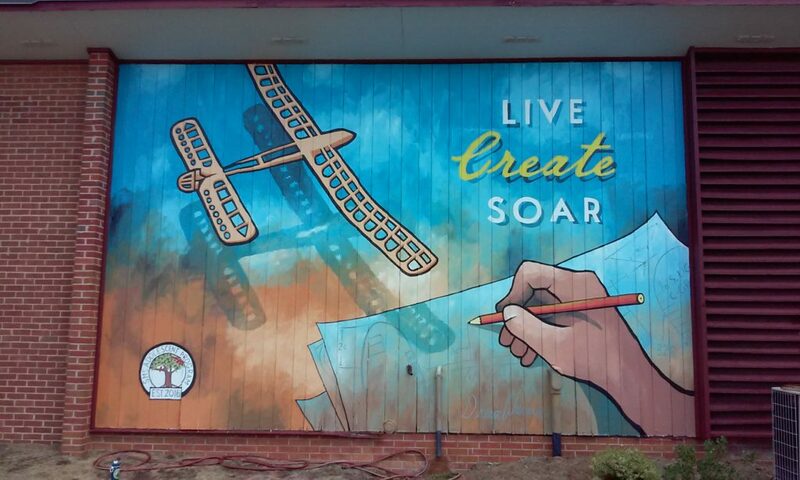 My wife, Deena, painted this gorgeous mural on the front of our sons’ school. 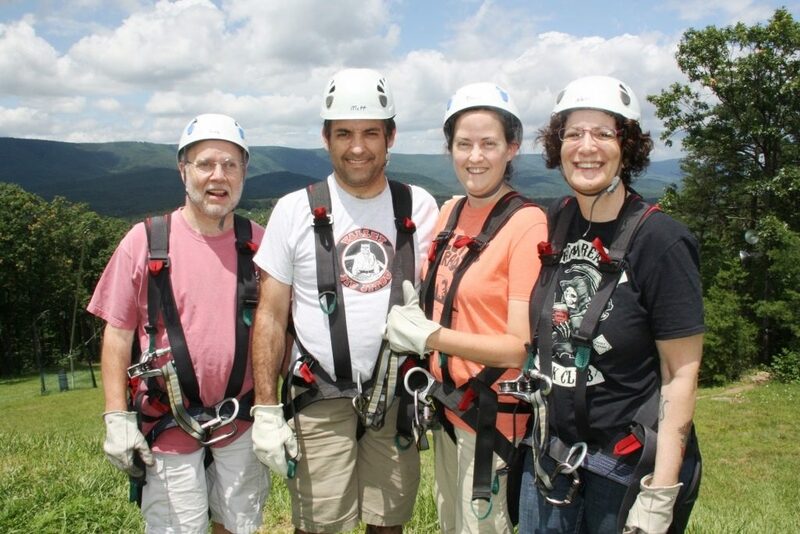 Deena and I spent a day ziplining at Bryce Resort with our good friends Keith Minnion (pink shirt) and Nanci Kalanta (black shirt).